Did Christopher Columbus believe he had discovered America? For decades, U.S. schoolchildren learned that in “fourteen hundred and ninety-two, Columbus sailed the ocean blue” on his way to “discovering” the New World. By the 1992 quincentennial, though, new academic scholarship had begun to seep into elementary and secondary history lessons. Today, few people claim that Columbus was the first European to sail to the Americas. Evidence for medieval Norse voyages and colonization is overwhelming. What did Columbus himself think he was doing, though? He never believed he had landed somewhere that Europeans weren’t otherwise aware of, and thus America was named for another navigator, the Florentine Amerigo Vespucci, who recognized the “newness” of South America. Columbus thought he was discovering some parts of Asia not described by Marco Polo or other Western authorities. He also believed he had found a new maritime route to the East Indies that would circumvent Muslim-controlled land routes and waterways. As Nicolás Wey-Gómez has recently shown, sailing south to the tropics was perhaps Columbus’s main innovation, since he wanted to reach the Spice Islands first. From there, he could travel to China from a safe commercial base – the fortified trading post he had tried to establish on Hispaniola. Columbus’s geographical stubbornness seems strange today, but he was hardly alone in refusing to believe that he had stumbled onto continents that were unknown to contemporary authorities. The fact of an entirely new world inhabited by many millions of previously unknown people was simply too much for most educated Europeans to grasp. If Columbus did discover something, it was the true extent of the North Atlantic trade wind circuit. Portuguese mariners had already observed this wind-and-current system, but Columbus went much further, proving over his four voyages that transatlantic sea travel in the age of sail was far more certain than anyone had imagined. For true discovery, we must go back at least 13,000 to 14,000 years before Columbus. Recent research confirms that the first humans to reach the Americas migrated from northeast Asia to North America via a temporary isthmus or by short island hops in the Bering Strait and along the Alaskan and British Columbian coasts. In several waves, these earliest Americans made their way south and east, rapidly settling and altering two vast continents and numerous islands. For Native Americans, Columbus’s fateful arrival prompted 523 years of resistance. Whether we call it Columbus Day or Indigenous People’s Day, Oct. 8th merits reflection. 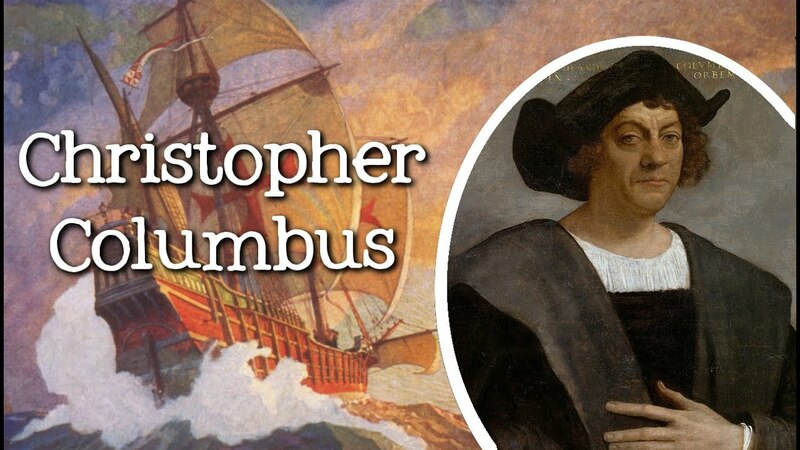 No matter what he thought he was doing, Columbus rocked our world.